This is a small school that pays a lot of attention to its students and has parental involvement at every level. Class size is small and you get individual attention. Anybody that wants to play sports can you don't have to be the elite to get on a team. CC-C was paced by Kolbe Rohn with 13 points. 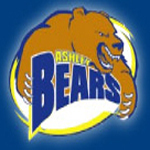 Ashley's Austin Efu led the Bears with nine points.